A dentist in Fresno that aims to provide individuals with a comfortable and relaxing environment and the best dental care possible. Dr. Namdarian is a member of the ]Frontier Institute (formerly California Center for Advanced Dental Studies) where he now serves as clinical instructor to Dentists attending their cosmetic courses. 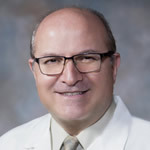 Dr. Namdarian achieved post-graduate certification from UCLA Dental School and he is a member of numerous professional organizations, including the American Academy of Cosmetic Dentistry (AACD), Academy of General Dentistry, American Dental Association, California Dental Association and the Fresno Madera Dental Society. 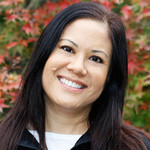 Dr. Cho is a graduate of the University of the Pacific, Arthur A. Dugoni School of Dentistry located in her home city of San Francisco where she received her Doctor of Dental Surgery degree. After graduation she completed a post-doctoral residency program at both Community Regional Medical Center-Deran Koligian Ambulatory Care Center and the VA Central California in Fresno. 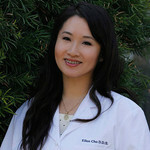 Dr. Cho is heavily involved with charitable dental care. Locally, she has volunteered her services at various community outreach events here in Fresno and extensively in Northern California. Internationally, Dr. Cho has traveled to Mexico numerous times, Fiji, and Kenya whereby she provided treatment for those who otherwise would not have access to dental care. Outside the office Dr. Cho enjoys traveling, photography, reading, trying new restaurants, and you might spot her out on a hike or a run! I was raised in Salinas and attended Dental Hygiene School in North Carolina. I have had the privilege of working in the same office for many years. This has allowed me to have wonderful relationships with my patients, enabling me to customize treatment towards their individual needs. Dentistry has changed and I want to offer the latest, most effective treatment possible. I love my job and I love my patients. My spare time is filled with my family and soccer. I enjoy the outdoors and we try to get up to our cabin as much as possible. I have slowed with time, but the Fresno area has been a wonderful place to try snow and waterskiing, along with riding quads, wood cutting, and watching every sport a kid can play. Haidee is an enthusiastic California native with a Bachelor’s Degree from California State University, Fresno in Health science. She also attended Fresno City College, where she obtained her degree in Dental Hygiene. Her dad is a retired dentist, and was a huge influence on her decision to pursue a career in a dental field. She is married with two daughters. Her goal as a clinician is to help every patient that she treats achieve optimal oral health, as well as work with Dr. Namdarian and Dr. Cho in creating beautiful smiles. 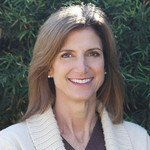 She is passionate about cooking, eating nutritious foods, living a healthy lifestyle.